Thomas Moser is Associate Director of Portfolio Resources Advisor Group, and a leading member of its Impact Investing Division, specializing in 21st Century socially screened investments. He is Founder and President of High Impact Investments®. His expertise is portfolio management of clean energy, clean water, healthy food and preventative health care solution company stocks. 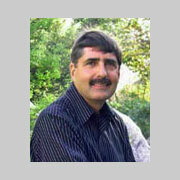 Mr. Moser joined the company that was to become First Affirmative Financial Network as a financial planner in 1989. His “early on” personal interest in solar, wind, and geothermal were an outgrowth of his desire to leverage time, money and work towards making the greatest planet impact. The High Impact Growth portfolio was launched in 2003 as a part of First Affirmative Financials Generation program. Since that initial launch High Impact® has evolved by moving onto the Envestnet trading platform and expanded portfolio choices including a 5% minimum community investment standard for total equity and fixed income portfolios. Mr. Moser is a graduate of the University of Arizona (BA and MA in Education, ‘75,’78) and spent 25 years as a public educator in Tucson, Arizona. He chooses to be involved in his community by helping youth. During the past 25 years besides his classroom teaching, he has coached local youth sports, volunteered his time helping “at risk” youth in a nearby detention facility, and taught Life Skills classes to disadvantaged youth.